Prisma – the Focus of Advertising. 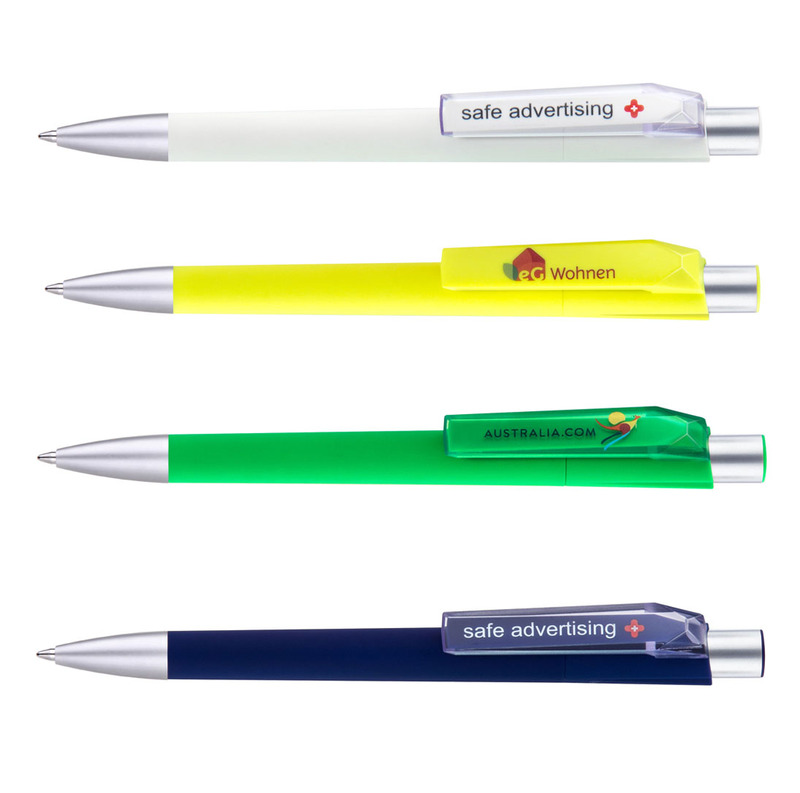 With its Elegant alignment and excellent manufacturing, the Prisma represents the top class of promotional pens. Your individual message is printed in high resolution onto the polished prism clip. As an alternative, it lies well protected under the transparent prism clip. Nine modern standard colours in matte eroded, or nine soft touch surfaces, leave nothing to be desired. 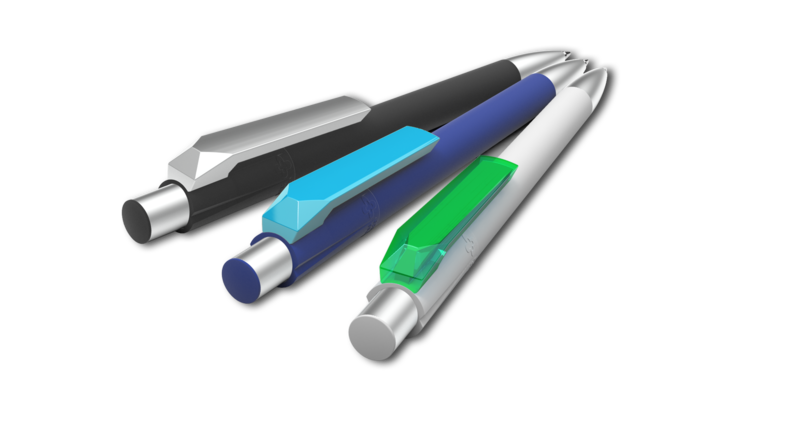 The burger swiss pen sensifloat® refill will reliably draw a line for kilometers – with typical Swiss precision.